Successful solutions rely upon good services delivered in the right way and by the right people who know and understand your business. Our approach is collaborative. We work alongside your managers and staff to understand the specific needs of your organisation and build appropriate and practical solutions that can be implemented with minimum disruption. In many instances, this involves joint teams working together to implement the system to an agreed plan and timescale. When you become a BlueSky customer we make a long term commitment to you. Through your dedicated account manager you have access to a comprehensive range of specialist skills and services, to ensure successful implementation and ongoing support throughout the life of your system. Within the organisation we have access to a wealth of business and technical expertise to help you make the most of your investment. We can provide highly practical advice and guidance on a range of business and technical issues, together with a proven implementation process. Structured training in all aspects of the systems operation can be provided for groups or individuals. The training can be tailored to your needs and delivered on-site or at any agreed training centres across the UK and Europe. 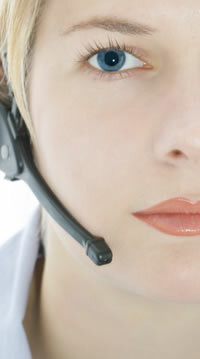 We offer all-round customer support to continue to help you get the best from using our system. This includes responsive help from our Response Centre staff who understand your business, together with a range of additional services available, from systems installation to remote systems management.